A celebration of the autumn harvest and the farmers who provide it, our $200-per-plate will raise critical funds for Local Food Alliance’s operating expenses and initiatives. A mid-September evening, cocktails made with local spirits, seasonal fruit “shrugs” and fresh herbs; hors d’oeuvres with Idaho ingredients; and the piece de résistance – a four-course, wine-paired family-style dinner at a long, white-clothed table on the farm with local farmers as the honored guests. The event simultaneously implements mission-critical strategies: demonstration of the unparalleled taste of fresh, seasonal, local food; in-person connections between community members and those who produce their food; and the opportunity to learn about how our food is produced. This event takes place at Nighthawk Farm in Bellevue, Idaho. 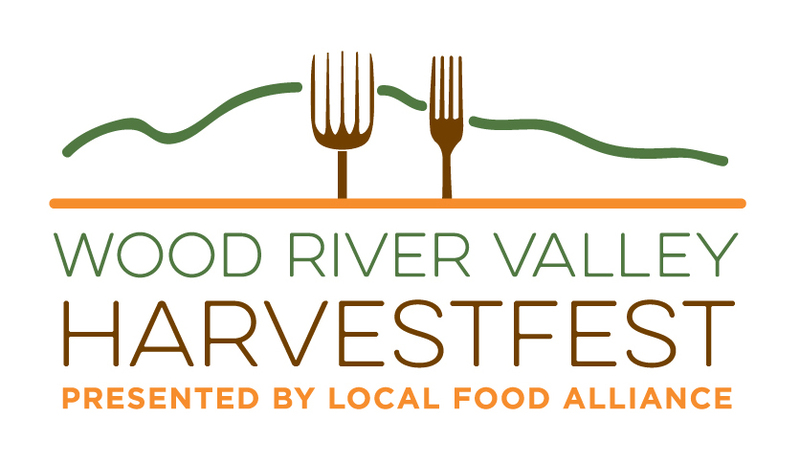 Join for the ultra-fresh The Taste Tour, part of our 4th annual Wood River Valley HarvestFest on Saturday, September 15th in Hailey, Idaho! At Will Call from 3-6pm, The Taste Tour ticket holders receive 10 “Taste Local” and 2 “Drink Local” coupons, a sustainability spork, a Taste Tour map, and a raffle ticket. Water bottles and insulated wine cups are available for a $20 donation. From 5-7pm along Hailey’s main corridor, The Taste Tour participating restaurants serve small plates made with fresh locally and regionally grown meat and produce to ticket holders. At the Wood River Sustainability Center before, during and after The Taste Tour are FREE open to the public offerings – an afternoon Family Food Fair & Market, Syringa Mountain School’s Family Corral, and an evening street party featuring The Heaters. Keep warm around multiple fire pits while cocktails by Roadbars, coffee and desserts from Hailey Coffee Co, Black Owl, and The Coffee House, and dance under Idaho’s uniquely Dark Sky stars!